The general principle applicable in the Law and Executive Regulations is that all insurance and related services will be subject to VAT at the standard rate. 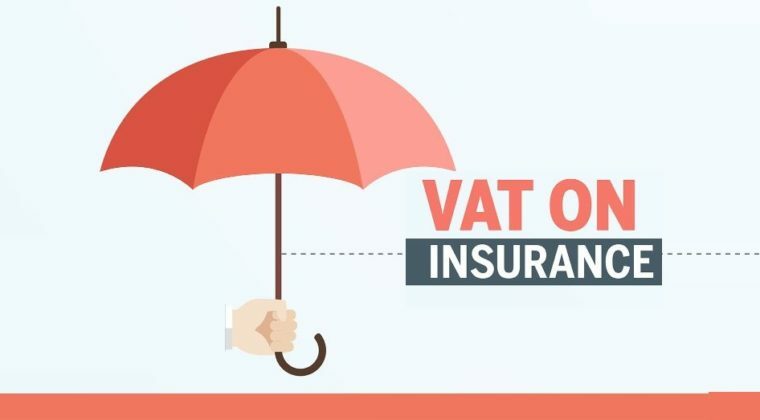 As outlined above, supplies of insurance and insurance related services are subject to VAT at the standard rate (i.e. they are treated as taxable supplies). VAT incurred on costs wholly attributable to the standard rated supply can be recovered in full.  ‘The payment or collection of any amount of interest, principal, dividend, or other amount whatsoever in respect of any debt security, equity security, credit, and contract of life insurance12. 12 Article 42(2)(i), Executive Regulations. 13 Article 42(2)(j), Executive Regulations.  The provision or transfer of ownership of a life insurance contract or the provision of re-insurance in respect of any such contract. For examples of the VAT liabilities of typical insurance charges, please see Appendix A. The supply of insurance and related services to a recipient established outside the GCC Implementing States (whether or not they would otherwise have been exempt where supplied in the GCC) will be zero-rated (i.e. they are treated as taxable supplies). VAT incurred on costs wholly attributable to a zero-rated supply can be recovered in full.  Where the recipient is registered or registerable for VAT in the GCC Implementing State in which the insurance or insurance related service is received, the supply is outside the scope of UAE VAT and the recipient is liable to account for the reverse charge in the other GCC member state at the prevailing rate of VAT applicable to that service in that state. 14 Article 52(1) of the VAT Executive Regulations.  Where the recipient is not registered nor registerable for VAT in the GCC Implementing State in which the insurance or insurance related service is received, the place of that supply will be the UAE. In such instances, the supply will be liable to UAE VAT as normal and will have the related level of VAT recovery. Where services are received by a UAE VAT-registered business from a person resident outside the UAE, those services will be liable to VAT at the standard rate where the supplies would be standard-rated supplies were they are made in the UAE. In this scenario, the imported services will be subject to the reverse charge mechanism as if the importer had supplied these services to itself. The importing insurance institution must therefore account for the VAT incurred on the imported services. It will also be entitled to claim for the input tax for such services, subject to the usual rules of recovery, including those of Input Tax Apportionment (see section 5 below). For example, where a UAE based insurance company cedes its risks to a reinsurer located outside UAE, the reinsurance premium payable by the insurance company will be subject to VAT under the reverse charge mechanism (except in the case of life reinsurance it is exempt). At the same time, the insurance company will also be entitled to recover input tax for such services, subject to the normal rules for recovery. Financial services, insofar as they are remunerated by way of an implicit margin or spread (i.e. no explicit fee is charged in respect of them) will be exempt from VAT (i.e. they are not treated as taxable supplies).  the provision, or transfer of ownership, of a life insurance contract or the provision of re-insurance in respect of any such contract. As a result, exemption will apply to premiums payable in respect of life insurance and reinsurance of life insurance. VAT incurred on costs wholly attributable to such exempt supplies cannot be recovered at all. Where insurance providers make a mixture of taxable and exempt supplies, this will result in their being partially exempt for VAT purposes and input tax recovery will be on that basis. VAT incurred on costs which is partly attributable to taxable supplies and also to exempt supplies of financial services must be apportioned; only that part which is reasonably attributable to the taxable supply can be recovered. The supplier in question must make use of an input tax apportionment method in order to determine the amount of input tax which it may recover in such circumstances. Please refer to section 5 below for further guidance. Any supply made under an Islamic financial arrangement15, which is certified as Shariah compliant, and which has the intention of and achieves effectively the same result as a non-Islamic financial product, shall be treated in such a way as to give an outcome for the purposes of the Law comparable to that which would be the case for its non-Islamic counterpart. 15 Article 42(1)(d): “Islamic financial arrangement” means a written contract which relates to a supply of financing in accordance with the principles of Shariah. In determining the correct VAT treatment for Islamic finance products, the purpose, structure and pricing of the Islamic product will be considered. Accordingly, in order to ascertain the VAT liability of an Islamic insurance or reinsurance product, the following process should be followed. For example, family takaful provides a combination of long term savings and protection for participants and their dependants typically arising from death, disability or survival. Generally, supplies of family takaful or family retakaful products would be exempt from VAT as their non-Islamic equivalents of life insurance or reinsurance would be. In non-Islamic Finance, if the savings element relates to investment in a fund and the insurance provider were to make a separate charge for managing this fund, then the same treatment would apply to the Islamic fee, i.e. it would be taxable. It is recognised, however, that certain aspects of Islamic insurance may preclude direct equivalence in VAT treatment being applied. In such cases, the underlying purpose, features and circumstances of the product concerned must be taken into account when determining the appropriate VAT treatment. Any significant difference in the overall liability between an Islamic insurance product and any non-Islamic counterpart arising as a consequence of differential treatment being applied will be addressed on a product by product basis. Providers of particularly complex or non-standard Islamic insurance products should analyse these carefully and consider seeking advice on the VAT liability of such products. Where a contract is entered into prior to the effective date of the VAT law which concerns a supply made wholly or partly after the effective date of the VAT Law, VAT will be due on the supply taking place after the effective date of the VAT Law. If the contract does not mention VAT, the value of the supply stated in the contract shall be treated as inclusive of VAT. For VAT purposes, insurance contracts are treated as continuous supplies of services, with premiums often payable in instalments. Therefore, as a result of the VAT Law on transitional provisions, part of the premium which is due post 1 January 2018 is liable to VAT. Insurers should have applied a fair and reasonable pro-rata to premiums received before 1 January 2018 which apply to services which are provided/have been provided after that date and have applied the appropriate VAT liability to that element of the premiums which are subject to VAT. The provision of health insurance will be liable to VAT at the standard rate. Where this is provided by an employer to an employee as a benefit which is part of a contract of employment, the employer will be able to recover the input tax on such products, subject to the usual rules of VAT recovery. Where an employer provides health insurance to the family of the employee, input tax will only be recoverable if there is a legal obligation to provide the insurance to the family members. 1) It is a legal obligation to provide those services or goods to those employees under any applicable labour law in the State or Designated Zone. 2) It is a contractual obligation or documented policy to provide those services or goods to those employees in order that they may perform their role and it can be proven to be normal business practice in the course of employing those people. 3) Where the provision of goods or services is a deemed supply under the provisions of the Decree-Law. The important part of the above is under 2, where family health insurance is a contractual obligation, then it must also be required in order that the employee may perform their role. It is not the case that an employee requires their family member to have health insurance in order that the employee may perform their role, and on that basis the input tax on health insurance provided to families under 2 above should not be recoverable. In contrast, where the law stipulates that the employee’s family members must be provided with health insurance, this would be dealt with under 1 above and the input tax incurred by the business would be recoverable. For the avoidance of doubt, a supply of insurance in respect of real estate will not be considered a “service related to real estate” for the purposes of the place of supply rule in Article 30(7) of the VAT Law. Therefore, the place of supply of the insurance relating to real estate has to be determined on the basis of the general place of supply rules, i.e. by reference to the Place of Residence of the supplier16. 16 Article 29, the Law. 17 Article 31(1), Executive Regulations. Please note that where the provision of insurance is included within the service charge for real estate, then this is likely to be related to the real estate for place of supply purposes under Article 21 of the Executive Regulations. In such cases, the place of supply will be determined not by reference to the Place of Residence of the supplier, but by reference to the location of the real estate in question. the insurance must be provided by the same supplier as the other components, such as maintenance, repairs, cleaning etc.  The insurer supplies the insurance to the insured and charges the premium to the insured. This supply will be liable to VAT at the standard rate (unless the insurance is covered by one of the exceptions outlined above).  The intermediary collects the premium (which may be paid in instalments) from the insured on the insurer’s behalf. This is not a supply for VAT purposes.  However, the intermediary does charge a fee (or commission) to the insurer or insured for the services provided. This is a supply and is either liable to VAT at the standard or zero rate, or is out of scope, depending on the application of the place of supply rules.  Finally, the intermediary remits the premium to the insurer (possibly net of their commission). This is not a supply for VAT purposes. If the intermediary acts in its own name – that is as an undisclosed agent, then the above sequence simply becomes a series of supplies liable to VAT. Where an insurer makes a payment in respect of the provision of some goods or services under the contract of insurance – e.g. for a replacement product or a repair of an asset – the question arises who may recover the VAT incurred.  If the insurer provides a payment to the insured which is in the nature of compensation for costs incurred by the insured (e.g. in repairing a car), the input tax in respect of the costs will be recoverable by the insured (subject to the normal recovery rules).  If the insurer incurs the cost of acquiring goods or services itself, then the input tax in respect of the costs will be recoverable by the insurer. Input tax recovery in respect of an expense must, in all cases, either reflect the actual use of that expense or to be determined via an appropriate proxy (i.e. via an input tax apportionment method). Whenever there is a requirement to apportion input tax which is partly attributable to different supplies, each of which carries a different right to recovery, there is an inherent risk that the means by which that apportionment is carried out and the results it renders are not necessarily representative of actual use. In that regard, all businesses must take care when making use of an input tax apportionment method that it is ‘fair and reasonable’ in their particular circumstances. Where it is not, the business should take steps to ensure that an alternative method is identified and adopted. The Federal Tax Authority (FTA) will closely examine the results of input tax apportionment methods used by businesses as part of their normal compliance program and, where necessary, will intervene in order to ensure that a fair and reasonable outcome is secured. In all cases, in each tax period all input tax which can be wholly attributed to any particular supply must be attributed to that supply and either recovered or blocked from recovery as appropriate. This is referred to as direct attribution. Any input tax which cannot be wholly attributed in this manner must be apportioned by way of an input tax apportionment method in order to establish the part which may be recovered and the part which may not. A business may choose between either the standard input tax apportionment method (see step 2 below), or by application to and approval of the Federal Tax Authority (FTA) a special input tax apportionment method in order to undertake the necessary apportionment. Special methods will be available with effect from the second tax year of registration. It is accepted that whilst the standard method may apply to most businesses circumstances, this might not always be the case. Nevertheless, a business must only apply to the FTA to make use of a special input tax apportionment method where it has first established that the standard input tax apportionment method would not render a result which is fair and reasonable in the context of their particular circumstances. 19 This will vary depending on the person’s tax periods. Treat that proportion of the residual which is attributable to supplies for which input tax is recoverable as recoverable in the normal manner (and include in the tax return for the tax period in which the calculation was undertaken). In the first tax period following the end of the previous tax year19, a calculation for the preceding tax year should be carried out, using the same principles as above. This is known as the ‘annual adjustment’ or wash-up calculation and may render an increase or a decrease in the amount of input tax previously treated as recoverable on a quarterly or monthly basis under (3). Furthermore, if there is a difference of more than AED 250,000 in any tax year between the recoverable input tax as calculated in accordance with the method described in this section and the input tax which would have been recoverable if the calculation was made on the basis of the actual use of the goods or services, then the taxable person should make an adjustment to the input tax in respect of the difference. The adjustment must be made in the first tax period following the end of the relevant tax year.